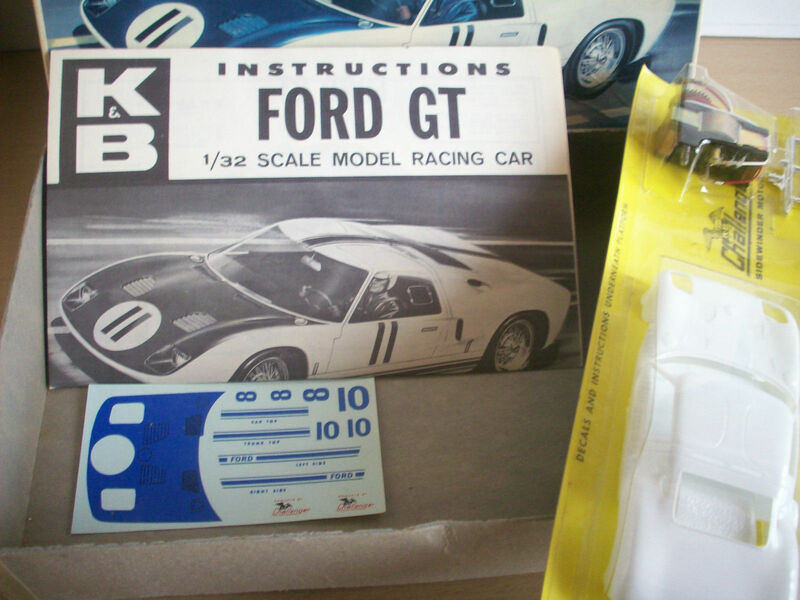 Well known for its model airplanes K&B were there at the beginning of the slotcar boom. 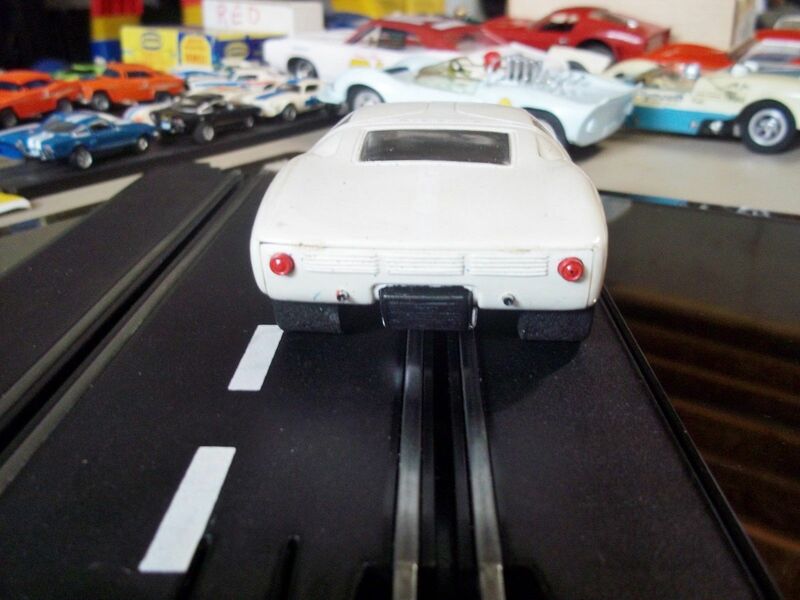 In 64 K&B went into slotcar racing in a big, producing beautiful and well engineered slotcar kits and RTR cars. 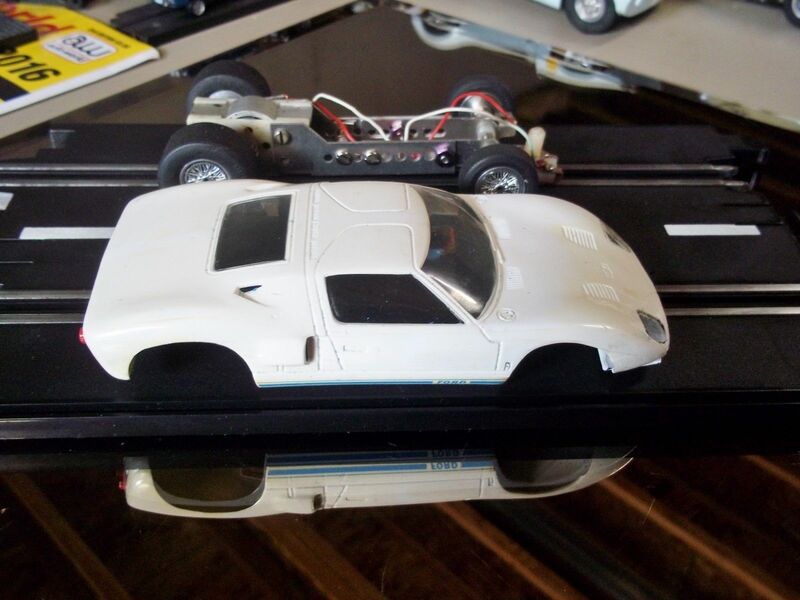 K&B manufactured both 1/32 and 1/24th scale slotcars, as well as a large range of slotcar parts. 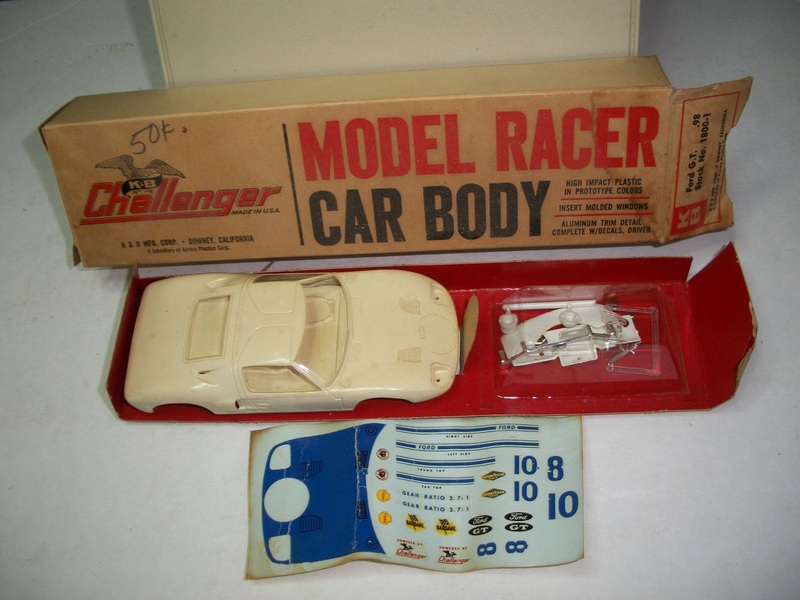 The first of the K&B cars produced used the US made Challenger and Super Challenger motors, however it was soon realised that, for their cars to be race competitive the manufacturer would also need to offer a more powerful motor, which came in the form of the Mabuchi style 'can' motor such as the Jaguar. In later cars they used the US made 'can' style Hellcat motor. 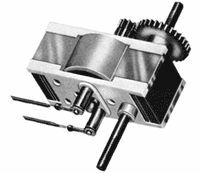 K&B had impeccable bodies which used novel technology in early models to fit the clear plastic windows inside the body mold. 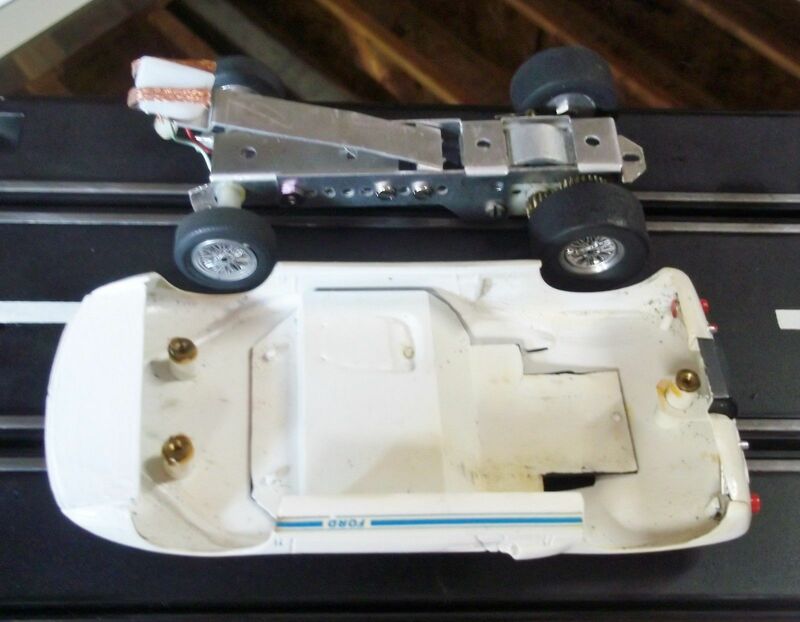 While the injected plastic was still hot, the clear plastic parts were fitted to fuse the clear parts into place on the body. 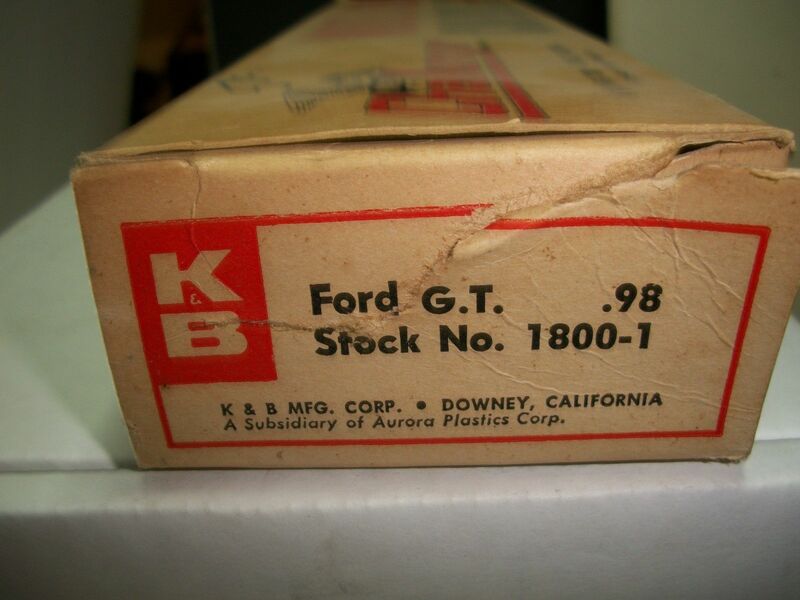 Unfortunately K&B did not also use this technology to install the clear parts for the headlights and subsequently the vast majority of examples found today have excess glue on the headlight covers from in-experienced hands when fitted by the purchaser. Only the 'Series 1' kits used this method of production with 'Series 2' providing the parts separately for the purchaser to install. 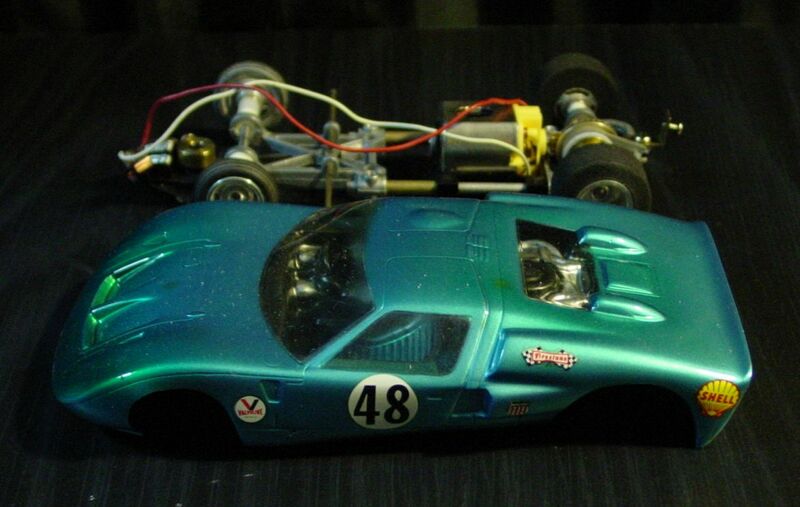 In collaboration with their owner at the time, Aurora, in 1966 K&B issued a series of new 1/32 scale kits. 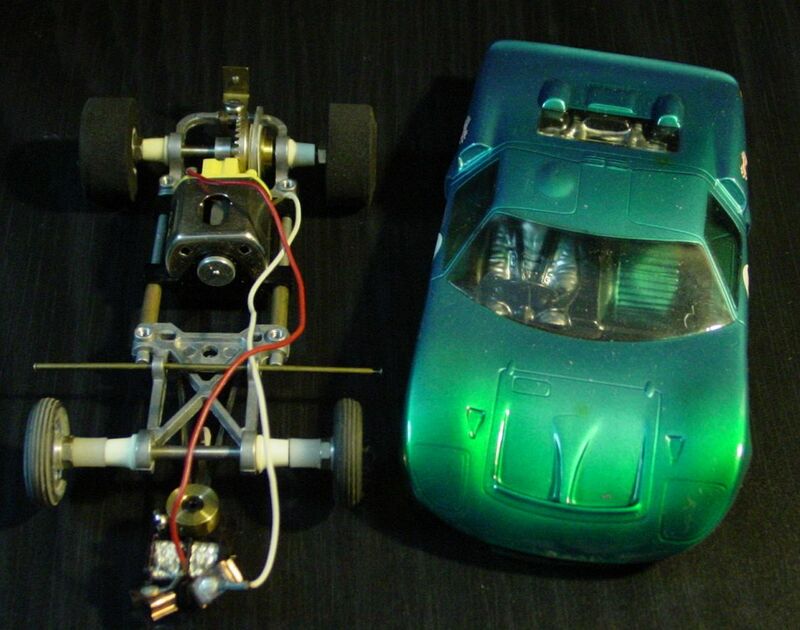 These kits were almost identical to the ready to race models issued by Aurora, with the exception that the bodies were unpainted and tampo printed and had different axles and wheels. 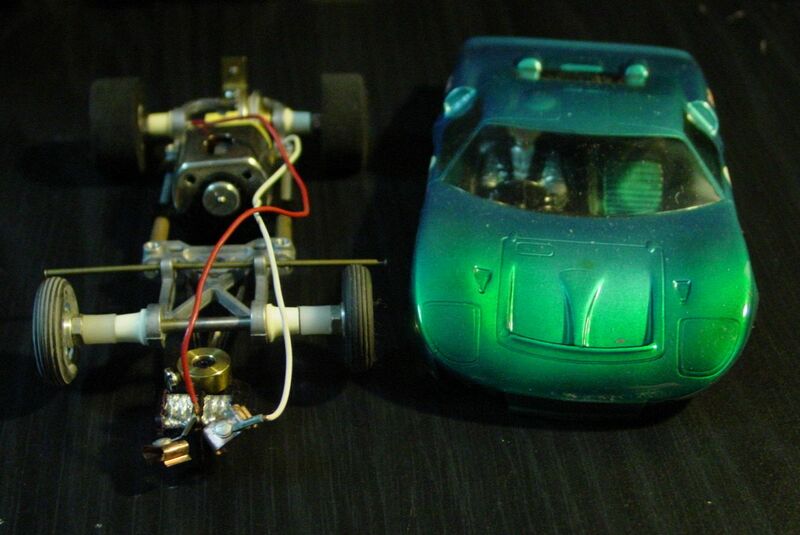 Both the kit and the RTR models were powered by the same K&B Challenger motor. 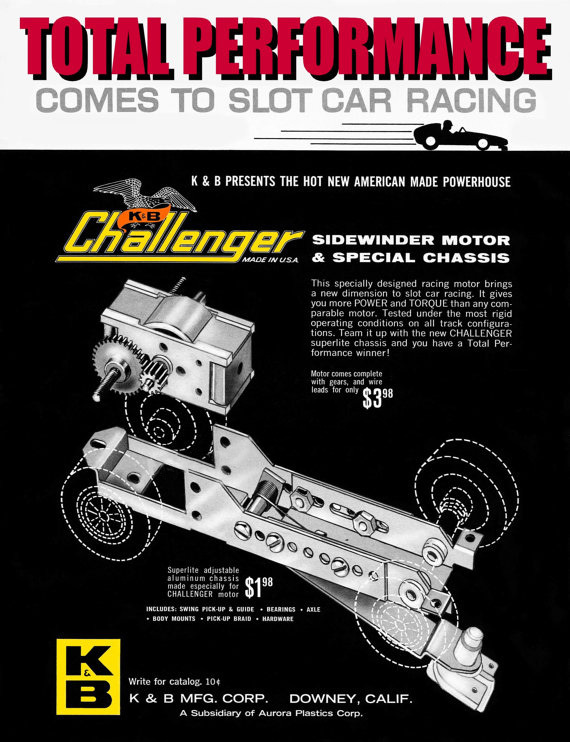 In the previous year in 65, K&B issued four new 1/24 scale kits using the American made 'Challenger' motor which incorporated an integral rear axle-gear carrier. 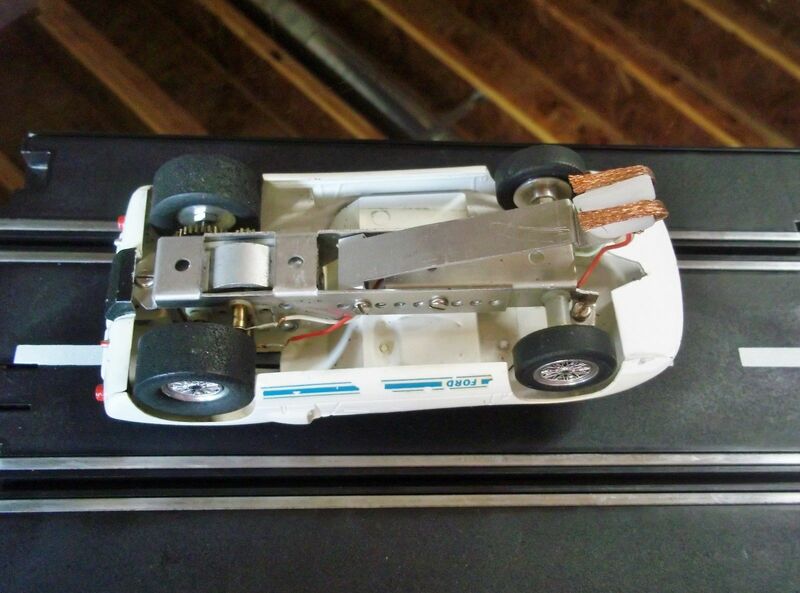 The channel-like aluminum frame was effective which also included a front-axle carrier and drop arm. 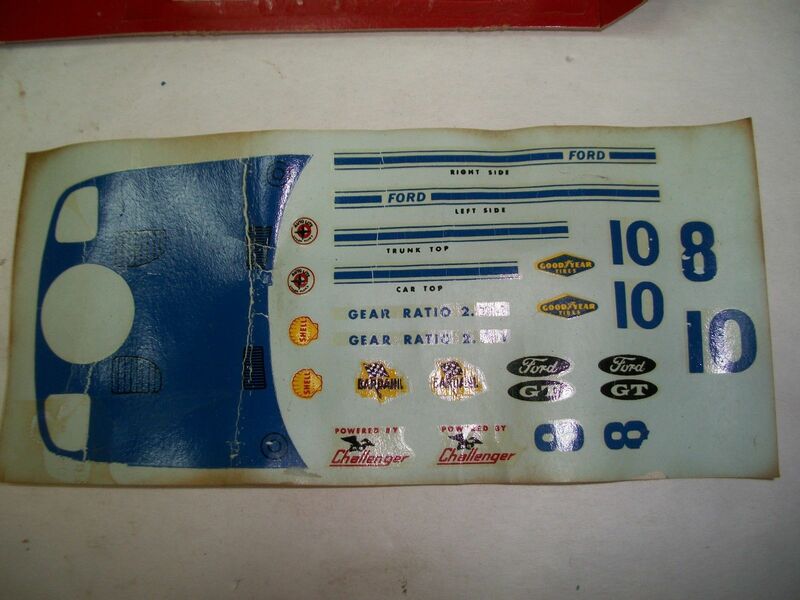 The aluminum wheels included wheel inserts and the decal sheet included a large decal to cover the nose. 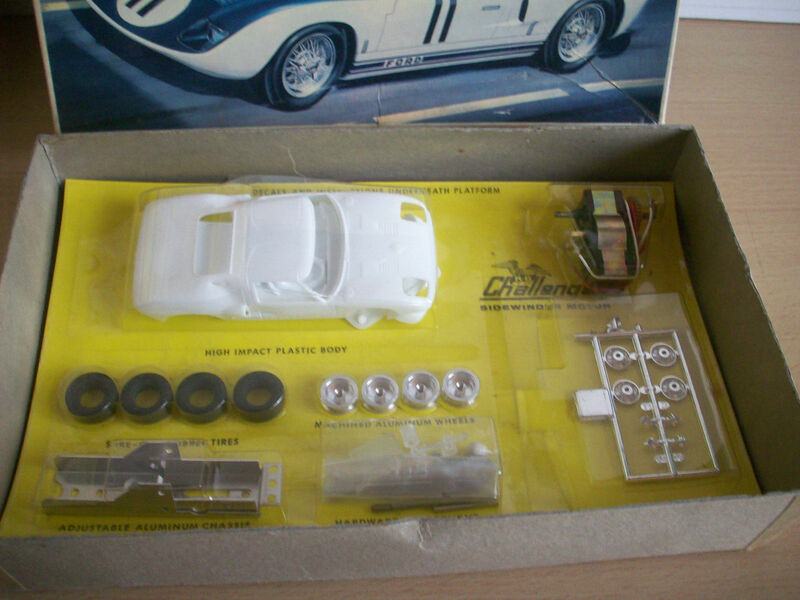 The newer kit was similar to its predecessor with only minor modifications seen to the cockpit panel allowing the fitment of the Super Challenger motor and a beautiful new display box with illustrated flap to completing this kit. 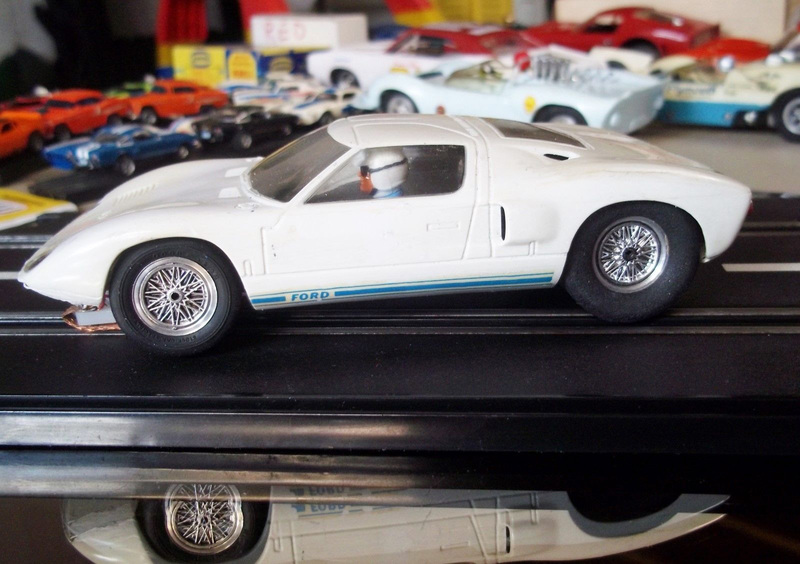 As common as series 1 was, series 2 did not sell as well and subsequently is a harder model to obtain these days and makes for a prized piece in any collection. Produced in the summer of 67 this would be the pinnacle of the companies line of models and the last issued by K&B and unfortunately now the rarest to find. 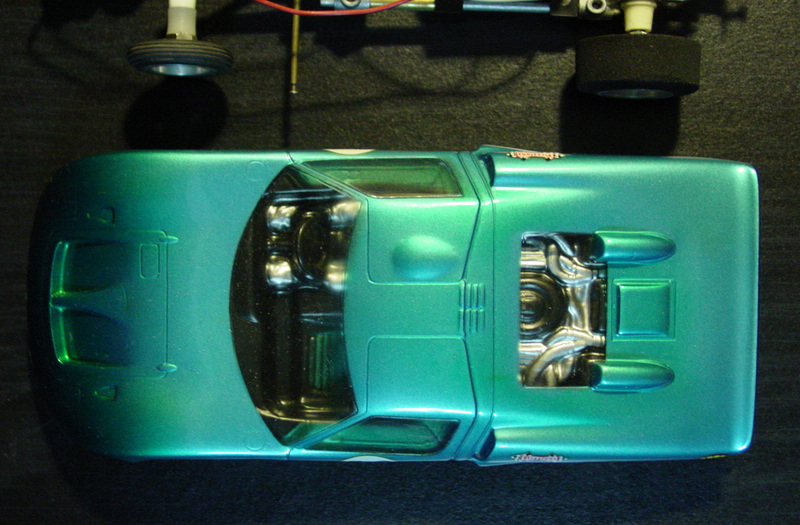 The vacuum formed body was painted in a shade of metallic blue with a tint of green (the only known color) the interior molded in black styrene with silver detailing. 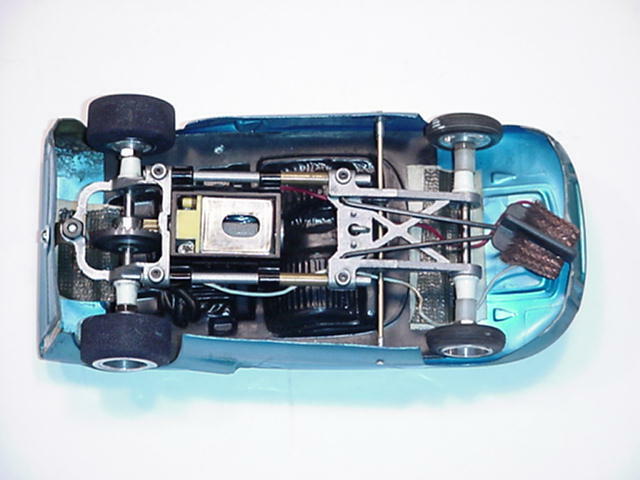 The chassis, an inline K&B unit with a Mabuchi FT26 unit named 'Jaguar' and fitted with a unique end bell molded of yellow plastic. 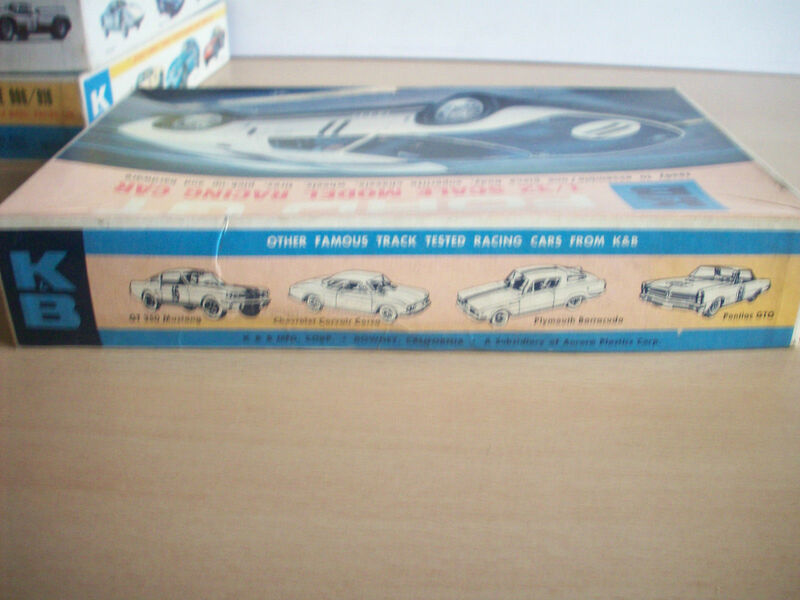 The clear-plastic box is identical to that of other K&B cars with an inner tray and box. 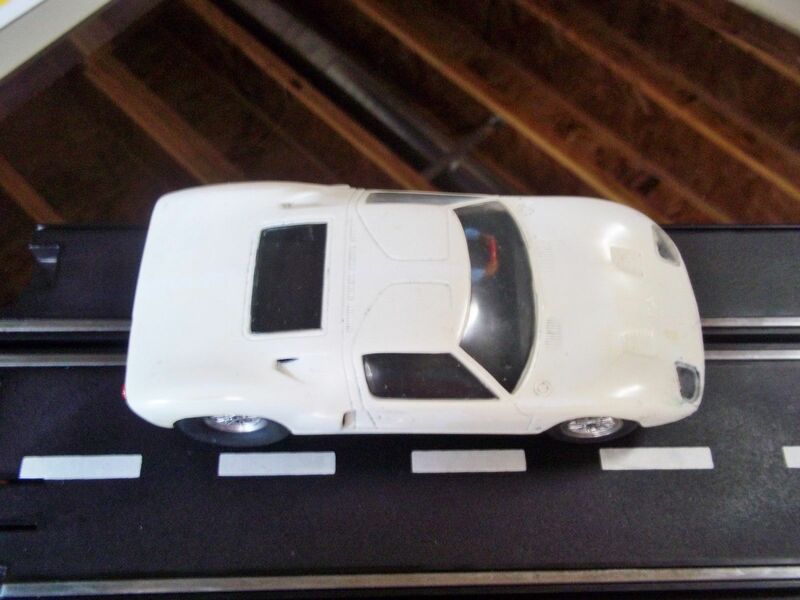 It was advertised in several period magazines towards the end of 1967 and is the only K&B model to receive this chassis. A common fault with examples today is a crack in the body at the rear valance due to stress in the area. 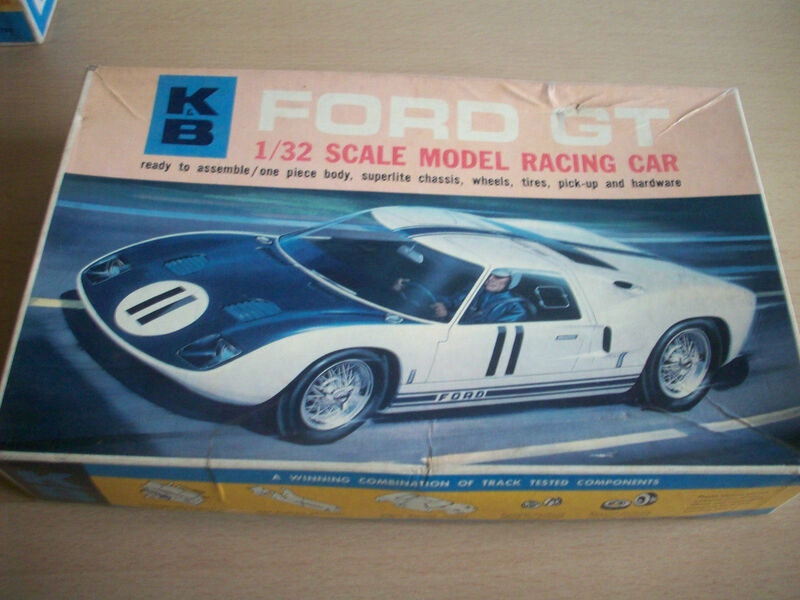 When John Brodbeck of K&B pulled the carpet on the slotcar program, hundreds of these Ford MKII in incomplete condition (unpainted bodies set on completed chassis) were liquidated and many were used by raceway owners as rental cars, as one could imagine, resulting in the demise of these examples. 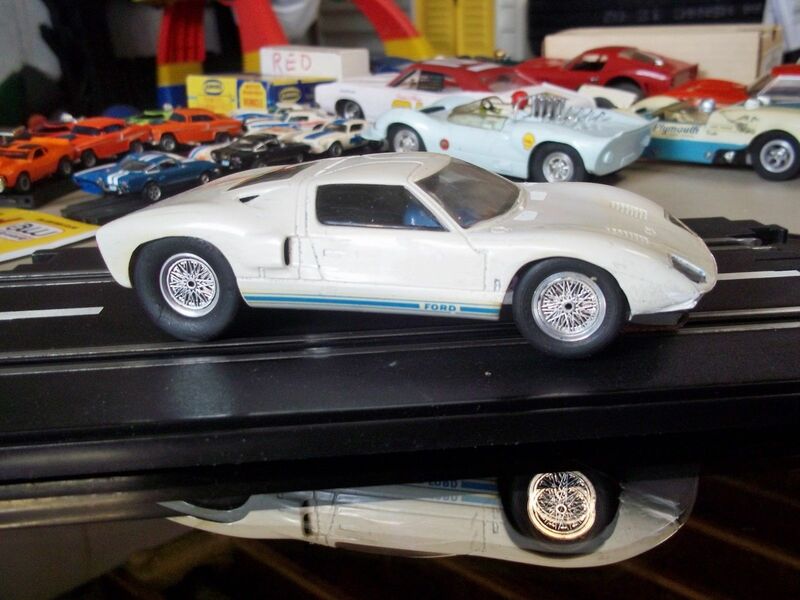 It has been reported that in over 15 years of searching, the Los Angeles slotcar Museum (LASCM) has only seen two examples in mint condition. 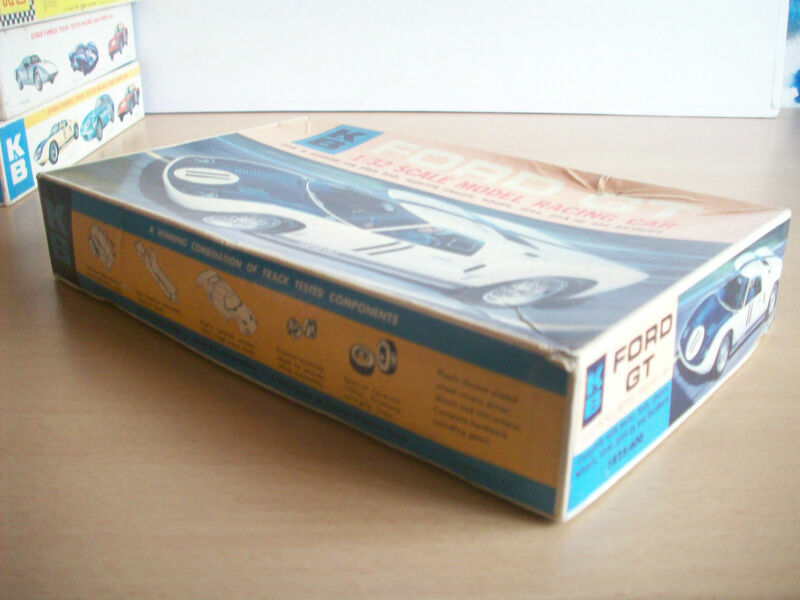 Apparently, very few were produced and fewer survive to this day, while the box is even rarer than the car and only a handful are known to exist. 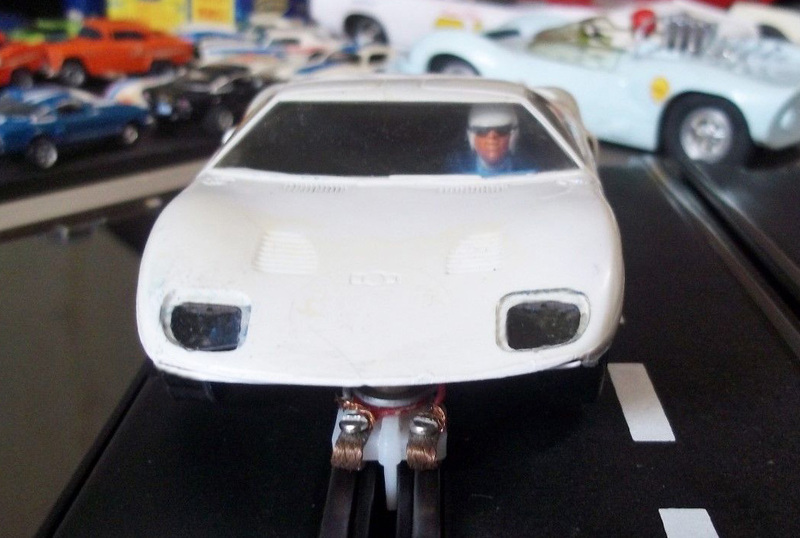 After the 1968 collapse of the slotcar industry K&B although not producing slotcars, continued to manufacture model airplanes.